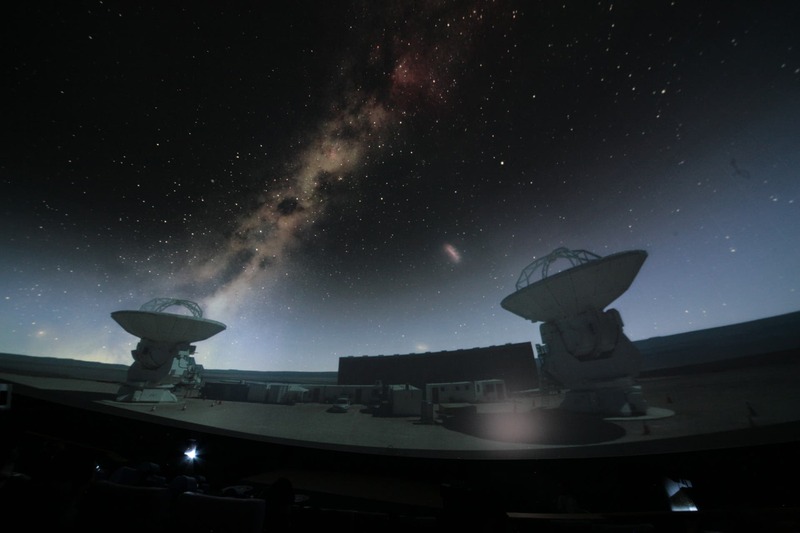 This past January, scientists led by University of Birmingham asteroseismologists discovered a solar system with five Earth-sized planets dating back to the dawn of the Galaxy. Thanks to the NASA Kepler mission, the scientists observed a pale-yellow Sun-like star (Kepler-444) hosting five planets with sizes between Mercury and Venus that was formed 11.2 billion years ago, when the Universe was less than 20 per cent its current age. This is the oldest known system of terrestrial-sized planets in our Galaxy – two and a half times older than the Earth. The team carried out the research using asteroseismology – listening to the natural resonances of the host star which are caused by sound trapped within it. These oscillations lead to miniscule changes or pulses in its brightness which allow the researchers to measure its diameter, mass and age. The planets were then detected from the dimming that occurs when the planets transited, or passed across, the stellar disc. This fractional fading in the intensity of the light received from the star enables scientists to accurately measure the size of the planets relative to the size of the star. "There are far-reaching implications for this discovery," said Tiago Campante, from the University of Birmingham's School of Physics and Astronomy, who led the research. "We now know that Earth-sized planets have formed throughout most of the Universe's 13.8 billion year history, which could provide scope for the existence of ancient life in the Galaxy. By the time the Earth formed, the planets in this system were already older than our planet is today. This discovery may now help to pinpoint the beginning of what we might call the "era of planet formation". "The first discoveries of exoplanets around other Sun-like stars in our Galaxy have fuelled efforts to find other worlds like Earth and other terrestrial planets outside our Solar System," said Bill Chaplin, from the University of Birmingham's School of Physics and Astronomy, who has been leading the team studying solar-type stars using asteroseismology for the Kepler Mission. "We are now getting first glimpses of the variety of Galactic environments conducive to the formation of these small worlds. As a result, the path towards a more complete understanding of early planet formation in the Galaxy is now unfolding before us."